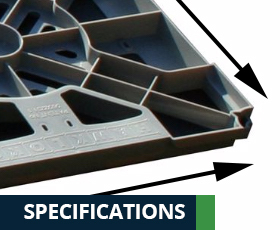 HAWKLOK's unique set of specially engineered interlocking grids will revolutionise how a base for a garden building is laid. Made from 100% recycled and recyclable long life polypropylene, HAWKLOK, at 1.5kgs per grid and 60cm x 60cm x 4.5cm thick, is both lightweight and easy to handle. Using ground pressure principles the chosen site need only be reasonably firm but level. As with any project, the better the preparation the better the end result. 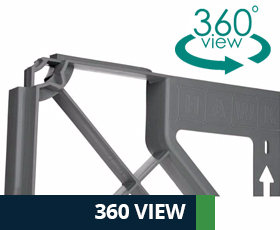 Thus, HAWKLOK eliminates the need for concrete, slabs and lengthy excavations. WHY YOU SHOULD PICK US? 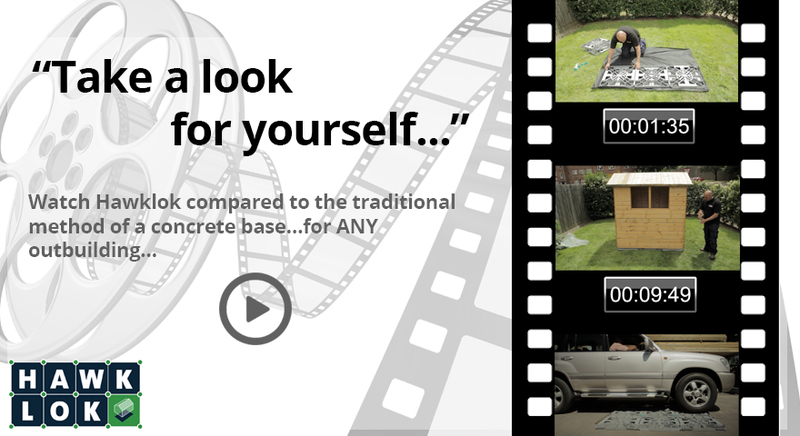 "Super quick and easy" - "This shed base is fantastic - we put it into place in under 10 minutes. And it's better than the labour-intensive alternative of laying slabs or putting together a wooden base, which won't stand the test of time. It's sturdy and solid - we couldn't be happier. "very simple product !" - "we first thought we'd have to pay a lot of money to get a concrete shed base, but then found this product and this is really practical ! easy to put together ! would definitely recommend it"
"Easy to assemble" - "A useful piece of kit, easy to use, only problem we had was leveling the ground"